The never-ending Apple/Google story takes a new turn on claims the Android maker wants to put a little Apple inside its new OS, albeit the Open Source Swift language. On what appears to be a quest to dump Linux, Google is allegedly developing a new mobile OS called “Fuchsia”. We don’t know much about the OS. We don’t know if it will replace Android, Chrome, or turn out to be some other kind of animal. We have been told it could potentially run computers as well as smartphones. What we think is known is that it will carry a little bit of Apple’s Open Source Swift in its tank. I’m guessing that’s got something to do with leading Swift creator, ex-Apple Chris Lattner, who now works for Google after a stint at Tesla. Lattner Tweets: “Swift at Google has enough folks working on it that we need a staging ground/integration point, and we decided it should be public”. This doesn’t mean Google is basing the new OS on Swift, but does mean the increasingly popular language will be supported by the service. This step means it should become a little easier to port apps from other platforms, though the task won't be trivial. It also holds true to Apple’s original hope that the language would be used across multiple platforms and devices. Swift today is one of the top ten programming languages with support across platforms and the developer community. This should be good news to consumers who should see apps created for iOS devices released more swiftly for those solutions that to eventually run Google’s OS. It may be good news for enterprise developers looking to deploy their apps across a wider range of devices, assuming Google can deliver device security. It most certainly will be great news for Swift developers, as it means their skills will be in even greater demand. Apple created Swift as a language to build apps for iOS, Mac, Apple TV and Apple Watch. Developers liked it, so Apple introduced it as open source at the end of 2015. “We think it would be amazing for Swift to be on all your favorite platforms,” said Apple, announcing its plans at that time. It may all turn out to be meaningless. Google has a track record of creating solutions it then cancels, so it is possible its new OS will never see the light of day, though this does rather feel like a fork in the road, given the company’s slow progress toward controlling device manufacturing, as evidenced by those Pixel devices. All the same, the fast-growing interest in Swift underlines just how much things have changed since Apple’s big turnaround began in c.’97. Apple meanwhile continues to apply itself to contributing to the development of the language. 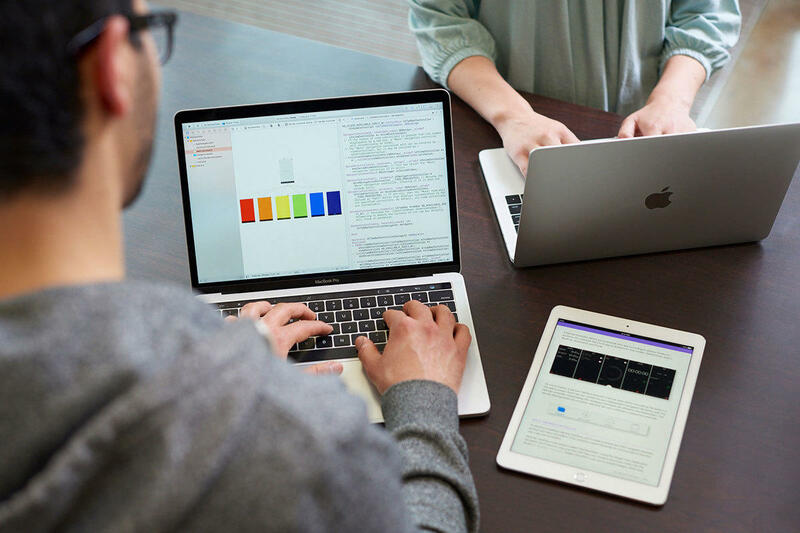 It continues to nurture new talent with educational coding solutions and events, even while Swift developers were recently asked to contribute toward the next edition of the language, Swift 5. How do you think Swift will contribute to the evolution of computing moving forward? Do you want to learn more about the language? You can download The Swift Programming Language from the iBooks Store for free. Got a story? Please drop me a line via Twitter and let me know. I'd like it if you chose to follow me there so I can let you know about new articles I publish and reports I find.